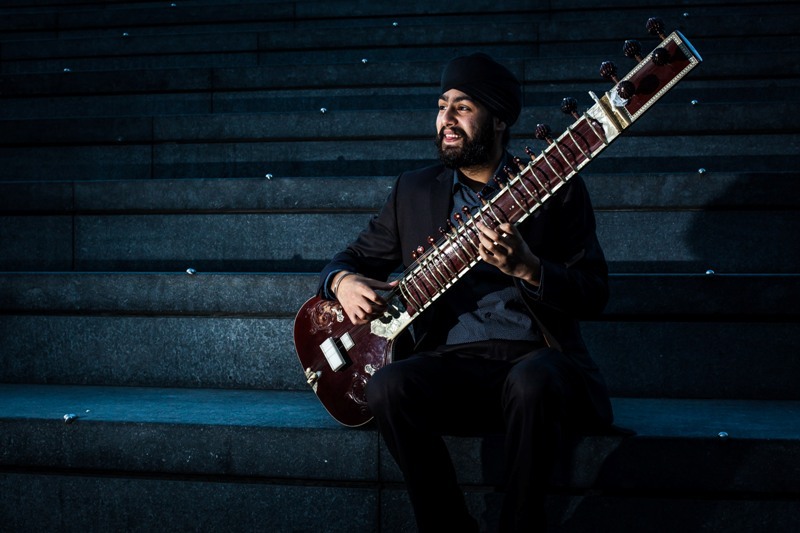 We get to know sitar player Jasdeep Singh Degun a little better ahead of his performance at Sage Gateshead on Friday 19th October as part of Gem Arts’ Riverside Ragas. I’m a classically trained sitar player from Leeds and I’m currently working on my debut album of classical and contemporary music. I’m really looking forward to bringing my music to Sage Gateshead later this month. The first record that I remember physically buying was the Indian Classical album Pure by Kaushiki Chakrabarty. That’s a tough one, but probably all three of the Lord of the Rings films. Again 90’s bollywood – probably Lagaan. I don’t get as much time to read as I would like now, but I grew up reading the Harry Potter series and it was the best. The fact that I’m very easily amused. Invisibility or having the ability to stop time – like Bernard’s watch. Legendary sitar player Ustad Vilayat Khan, Maharajah Ranjit Singh, and Professor Dumbledore. The game would be Spoons! Jasdeep Singh Degun plays Sage Gateshead on Friday 19th October.